It always seems to me that, to give good customer care, you need to, well… care. Once you truly care about your customer, the rest comes sort of naturally. It’s built into our human wiring. 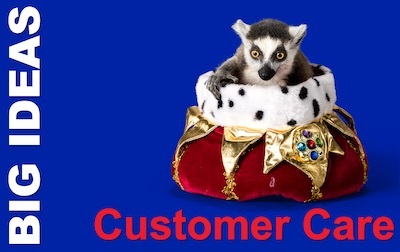 So, what is customer care, and how should it differ from ‘mere’ customer service? Herb Kelleher was for many years one of the most innovative, unorthodox, and successful corporate executives. He delivered profits to an airline business every year of 20 years as CEO, in an industry where other airlines could not manage 5 years of profits, and he did so by sticking to a simple mission and placing values first. But the whacky reputation of Southwest Airlines, which he co-founded, belies the clear-sightedness of its long-time CEO. 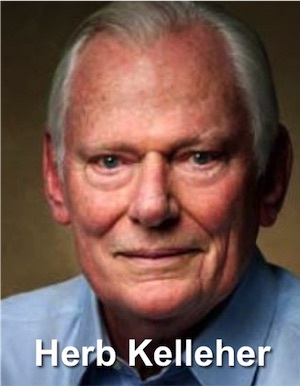 Herb Kelleher was born in 1931, in New Jersey. He studied English and Philosophy at Wesleyan University, before going on to study law at New York University, from where he graduated in 1956. He spent a couple of years clerking for the New York Supreme Court, and another couple at a Newark Law firm, before moving to Texas, from where his wife had come. In 1961, he set up a law firm in San Antonio, where one of his clients was Rollin King, who owned a small airplane charter business. One evening in 1966, over drinks, King outlined an idea for a different kind of airline, which would serve the main three Texas cities, with point-to-point services, rather than scheduling to meet international hub flights. Famously, they sketched a schedule on a bar napkin, for flights between Dallas, Houston, and San Antonio. Kelleher was sold on the idea and invested $10,000 for a 1.8 per cent stake. As Chief Legal Counsel, Kelleher led the acrimonious legal battles to secure the licences and slots that Southwest would need, to fly. This led to court cases all the way up to the Texas supreme court, but in 1971, the company started trading under experienced airline CEO, Lamar Muse. It took three years to become profitable. In 1978, Muse resigned, and lawyer Kelleher was appointed president, and then CEO four years later. This inspired appointment led to phenomenal growth for the business – in both monetary and reputation terms. Kelleher built Southwest into a widely admired business, which many have tried to emulate (rarely successfully). The figures speak for themselves. Kelleher retired as CEO in 2001, and as Chairman of the Board in 2005. He remains a prominent and outspoken contributor to US business life. Kelleher’s secret is far from being secret: it is plain to see for anyone who observes the Southwest Airlines business (and there have been countless business school case studies), and Kelleher has spoken of it many times. Compare that with the behaviour of most corporations and you will see it is exactly the ‘wrong way round’. Yet it has worked phenomenally well. 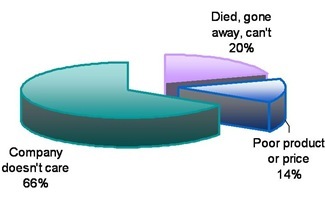 And if you say that there are many who do espouse this sequence of priorities, I’d agree. But the truth is, very few truly (I mean TRULY) do the ’employees first’ thing, and do it properly. However, this is not the first time we have encountered the ’employees first’ philosophy at Pocketblog: take a look at this post about Vineet Nayar, from 2010. Kelleher was always determined to stick to the mission of the company – they never did anything that was outside of the airline industry, nor indeed outside of the confines of a point to point US service. Sticking to what you know and do well, can be a powerful way to stay focused and deliver stability and excellence. And Kelleher stuck to his philosophy of what his business aimed to do, which he articulated as being about happy customers and low costs. This led to a no-frills service that focused hard on keeping costs low, and a business that became famed for its customer care. He achieved both by a fierce loyalty to his staff, which they reciprocated. This is manifest in two particular ways. Kelleher has a love of fun and practical jokes, that means he rarely takes himself seriously. He has been see in Elvis costume, on a Harley Davidson, and has arm wrestled another CEO for the right to use a disputed marketing slogan (and lost). His staff took his lead and Southwest is famous for on-board pranks, and singing flight attendants. Some of the in-flight announcements have gone viral on social media because of their wit or novelty. Yet all their staff do take their jobs seriously and the airline has never had an in-air fatality. Kelleher’s commitment to staff care has meant that Southwest has ridden out the peaks and troughs of a particularly volatile industry without ever laying off any staff nor even imposing furloughs (compulsory leave of absence to save the company money). Instead, they have taken numerous hits on short-term profit. The result has been enviable staff loyalty (with among the lowest turnover rates in the industry) and exceptional productivity. Putting staff interests ahead of shareholder returns has, paradoxically, maximised shareholder returns over the long term. … but only when done with the integrity to stick to your values. … but you need to set the tone, deliver on values, and get out of the way, as a leader. A company can increase profits by 85% if it retains 5% more customers each year. It is 5-8 times as easy to sell to an existing customer as to a new prospect. Some direct mailing tests to groups of “customers” and “prospects” found that approaches to customers were four and a half times more profitable than approaches to prospects. Customer service is all about attitude. Nurturing and retaining customers is crucial to the success of your business. Customer service is all about attitude rather than techniques. A member of staff can have all the techniques in the world but if they do not believe in the business and do not want to do it, they won’t. Are all your staff focused on making the customer the focus of their world? ‘Satisficing’ is doing the minimum to meet a set of criteria. This is the approach that many organisations take to customer care. 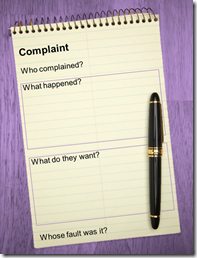 It is certainly the easiest way to deal with complaints. Easiest is rarely best – and certainly not in this case. Treat complaints as an opportunity to have a good long conversation with your customer and go way beyond satisficing. Go beyond pleasing; aim to delight. A recent customer service experience taught me a real lesson. I bought a new service which didn’t work first time. I contacted technical support, who first denied there could be a problem, and then treated me as if I were foolish “You don’t do it like that – that won’t work …”. After many calls, I did speak to one engineer who said (I am quoting verbatim – I wrote it out in my daybook): ‘this is a bug’. After a week of ever more frustrating emails, I figured out what to do. The service worked perfectly, the advice on an online forum was good. The customer care, however, means I’ll never recommend that service to anyone without warning them. 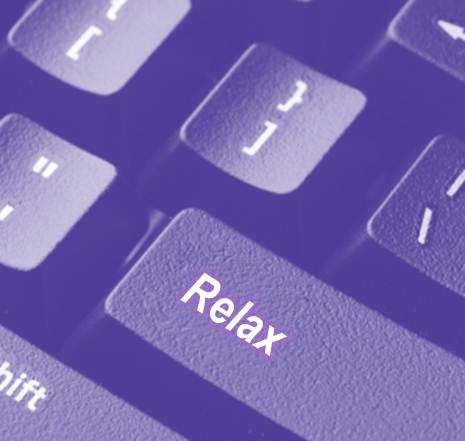 If an email takes three minutes to rush off, it will only take five to write with care. Word of mouth is the best – no, THE BEST – source of new business. Are you chasing quick responses from your staff or are you seeking first class customer service? What annoys our customers most at the moment? If you don’t know: ask them. What have we improved on customer care this month? This is what your customers notice, not what you worked hard on. How do we compare with our competitors? What are people saying on forums, for example? What are we doing to really delight our customers at the moment? Go beyond satisficing. Is it time for a “mystery shopper”? There are a number of companies who can offer this service, but unless you are a small business, you can do it for yourself. Moments of Truth are those tiny moments when a customer learns something about your business organisation. Every interaction, however small, has a moment of truth in it. What will that truth be? What does your front door look like? Estate agents will tell you that it is easy for viewers to fall in love or out of love with a house, based on its front door. We aren’t saying repaint your front door when you want to sell your house (though you should): we are saying get the entrance and reception area of your business right. Tomorrow morning, come in through the customer entrance and see it through a customer’s eyes. Okay, you say receptionist, I say Director of Welcoming. A receptionist sits behind a reception desk, takes names, and makes calls. A Director of Welcoming welcomes people in and then does everything they can to make them feel welcome. Small difference in the work: vast difference in the results. First impressions really do matter. It might be the voice on the end of the phone when a new customer first calls. It might be the first email or letter a new client gets. It might even be the greeting they get when they first visit your office, factory or warehouse. What’s the common thread? Your receptionist. And often these undervalued colleagues are required to multitask with the minimum of training. This is just plain wrong, because it puts your business in danger. Steve Jobs famously eschewed focus groups and market research in designing new Apple products. He did not want to supply what customers wanted. He wanted customers to want what he created. Whether Apple will be able to sustain that level of creativity is a question only time will answer. But Jobs’ attitude did not mean that Apple was deaf to its customers – quite the opposite. Having created the kind of loyalty that just about any other corporation can only dream of, everything Apple does has been tailored to retaining that crazy loyalty. Marketing departments typically spend their time and resources looking for ever better ways to ensure that potential customers hear their message. Customer service departments focus on fixing customer problems. Who in your business is dedicated to listening to the customers you have, to build loyalty? It’s cheaper and easier than acquiring new customers, and it’s cheaper and easier than fixing relationships with disappointed customers. How can you really listen to the voice of your customer? Surveys are great – especially low cost, easy-to-implement online surveys using tools like Zoomerang or Survey Monkey. These have the benefit that they take little effort from your customer (and why should they make a big effort?) and can be supported by an appropriate incentive like a small reward or a competition entry. The gold standard for good feedback on what you do (and don’t do) is follow-up calls or meetings from someone separate from the team that serves your customer. To make it work for both you and your customer, you must welcome absolutely frank assessments and ask good questions to secure details that make appropriate actions easy to target accurately. But what if your customers won’t talk to you? You can always employ a ‘professional customer’ – mystery shoppers. They are great for thorough, detailed and accurate assessment of what you do. Unlike real customers, however, they cannot give you information about what else they want, from your product or service lines. Customer focus groups or ‘customer panels’ can do that. They are a lot of work to plan and organise and expensive too – often requiring specialist consultants, room hire, and inducements to participate. This is a form of market research and the Marketing Pocketbook offers eight more variants on what we have above. The forgotten question is Why? In case ‘why would you listen to your customer?’ seems like a pointless question with an obvious answer: ‘of course you must’ – stop for a moment. Of course you must, but unless you know why you are going to do it, you rune the risk of asking the wrong questions, choosing the wrong format, and mis-using the answers. It is all too easy to feel like you are doing something useful by sending people out to listen to your customers, but before you do so, make sure you have a purpose and design the process accordingly. Arguably, Apple has neither, with high prices for products that are being successfully emulated by their main rivals. So how are they succeeding? I believe by a third source of competitive advantage: brand loyalty. As a prevailing business strategy, this is new force in big business, but one we can all exploit, by building an organisation that excites and values its customers so much that we win the kind of fanatical following that Apple has. If you can do that – with or without one of Porter’s two other sources of competitive advantage – you have the basis for a long-term business. Just before Christmas, news came out that Google has updated the way its search engine works, so that it discriminates against companies that offer bad customer service. Google counts a link to a website as being a vote in favour of it, and uses those votes (among other things) to decide how highly websites rank in its search results. The problem was that if the links appeared with complaints about the company, perhaps in a consumer rights forum, Google still gave companies credit for that link. Now that’s all changed, and Google says it now penalises companies apparently offering poor service. The change responds to a claim in a US newspaper that one company deliberately offered bad customer service, just so that people would gripe about it online and give it lots of links that would boost its search engine ranking. For online businesses, this means it’s never been more important to offer good service. If they don’t, they risk sliding down the search engine rankings, which can have a big impact on new customer acquisition and sales volume. Google has always been committed to giving people the best web pages for their search queries, but this represents a subtle change. It means Google is now prioritising the reputation of the website operator too, including factors that are independent of the website itself. Google holds a huge amount of data about customer behaviour that could also be factored in. Let’s not forget that Google knows how often people search for your company name together with ‘complaints department’. It can even benchmark these figures across different companies, industries and countries, to identify companies that have significantly more complaints than their rivals. Never has there been a time when retaining your customers has been more important. 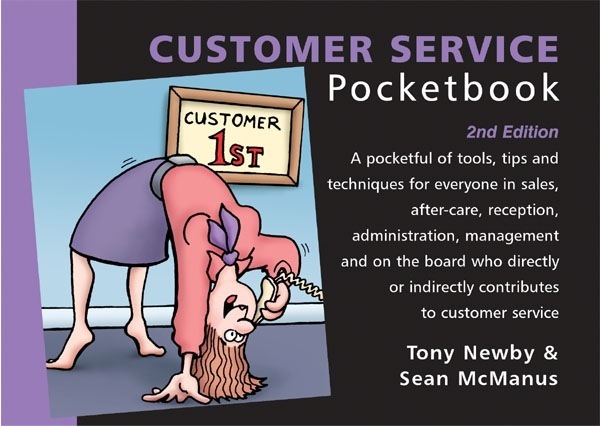 The Customer Service Pocketbook, by Tony Newby and Sean McManus will give you lots of hints and tips about communicating with your customers, dealing with complaints and monitoring your performance. Welcome to 2011! This blog is published on the first working day of the New Year, so we have culled five Management New Year’s Resolutions from our Management Pocketbook library. 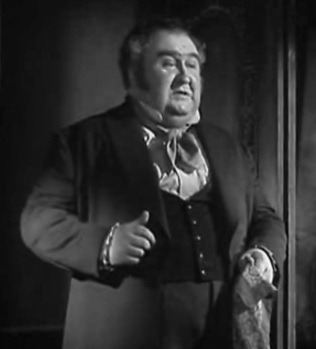 Image of Francis L Sullivan as Jaggers in the 1946 movie by David Lean – if you’ve never seen it, do so this year. So, resolve never to make an important decision without first critically reviewing all of the evidence available to you. For a manager, this year is likely to be one with resources at their tightest. So use what you have well. Think carefully about every commitment to reduce what you do; look for solutions that already work and make sure you put redundant resources to good use in a new context. 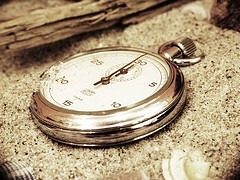 Time will be your most valuable resource, and unlike the others, you cannot save it up, so use it really well. So, resolve not to squander anything of value. How much did you achieve in 2010? Seth Godin, in his blog, asks what did you ship (or get out of the door) in 2010 and he’s right: answering that question is an uncomfortable exercise if you are rigorous in excluding the near misses and outright failures to deliver. Accept no excuses from yourself. Now, resolve to make a real difference this year; face your demons and get things done. And reading Seth’s blog will be a great stimulus. Management Pocketbooks has five excellent pocketbooks in its Customer Care category, but if you boil all the advice down to two words, it’s these: ‘just care’. If you are in the business of serving people or creating products for them, this is what you have chosen, so, resolve to put up or shut up. Treat every customer as you would wish to be treated when you are at you most demanding and unreasonable. 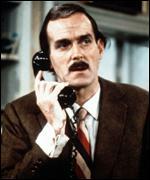 And, for the ultimate in customer care training, this column will be buying the Remastered DVD box-set of Fawlty Towers . Relax. Get more done by stressing less. Make time for more of what you enjoy and the people you really love. Find ways to discharge the pressures and tensions of your working life and give yourself more energy in the process. So, resolve to be more mellow and easier to be with.
. . . is to actually care. The answer is simple. Make time to listen to your customers. Ask them questions, listen to their answers and act on their feedback. The secret to customer care is to actually care. 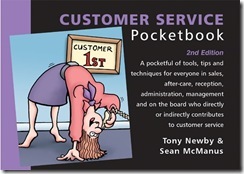 The Customer Service Pocketbook is filled with tools, tips and techniques to help with your customer care.